The second season of Major League Quidditch is officially in the books, and once again, the Boston Night Riders have come out on top, winning the finals 2-0 over the Austin Outlaws in a pair of highly-competitive matches. With so much to discuss from the eventful weekend, we opened the doors to our staff’s Championship thread to talk about the sights, sounds and scores of the weekend. Ethan Sturm: So the Boston Night Riders have won two MLQ Championships in a row with a pair of snitch-range victories over the Austin Outlaws in the final. 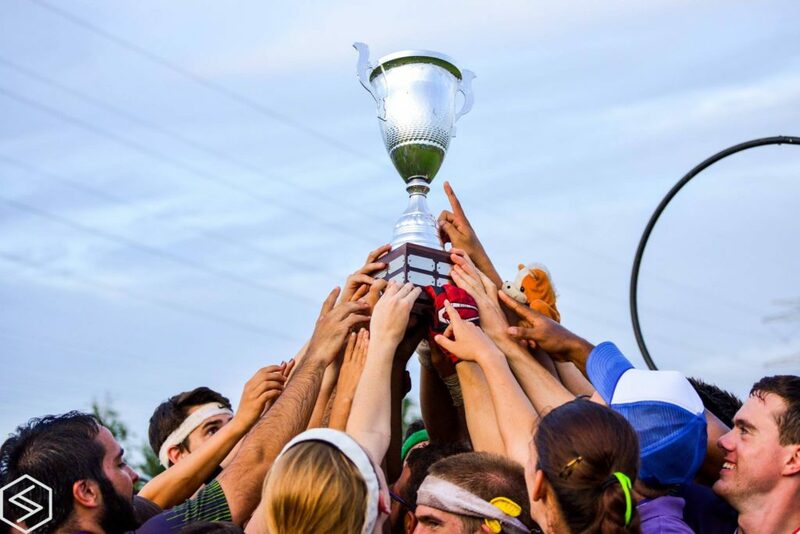 The Night Riders are now 28-0 all-time in MLQ, and the Boston core is now 57-1 in its last 58 competitive matches, including the two aforementioned MLQ titles and a US Quidditch Cup 9 victory. But is Boston now the third great dynasty of quidditch history? And if so, how does it stack up with the other two? After all, Texas won its three USQ titles over a 33-month period, while Boston, thanks to the creation of MLQ, has gotten its victories in just 15 months. Ricky Nelson: No. Boston, while a great program, has not earned its spot as a dynasty yet. This is based not only the duration of the reign but also the difficulty of the road there. The first MLQ title was an eight-team tournament with about half of those teams at 50% strength. The second title is impressive and worthy of praise, but it basically means two titles in the span of five months. With little time for drop off and with many key players rumored to be leaving or changing their priorities, it remains to be seen if Boston can successfully pass off the team and keep the streak going. Kevin Oelze: I think it’s also important to note that the one of the most impressive parts of the Texas dynasty was that it was done using multiple different cores of players. This Boston team has kept the same core the entire time. David Hoops: On Kevin’s point, I think that speaks to two different ways of being dominant. Texas’ style of play from year to year didn’t change too much, but the quantity and quality of new faces each season that stepped into larger roles was staggering. Texas was able to keep their product from growing stale, but that’s much easier said than done. It’s ridiculously hard to develop elite players, and Texas was better at doing so than everybody else (and still is, for what it’s worth). Boston? Boston’s been basically the same team now for about a calendar year. Since the first MLQ season, anyone who wanted to study their film and figure out a way to beat them (the Night Riders or Qudditch Club Boston) had every opportunity to do so. And no one has been able to on the biggest stage. Boston’s star burns as bright right now as Texas’ did at the end of World Cup VI–I’m still doubtful it will burn as long, but the talent is all there. Nelson: The question wasn’t whether it is a great team–no one with sense would question that. It was if Boston qualifies as a great “dynasty” with Middlebury College and University of Texas. Hoops: I’ll clarify–we’re not to dynasty yet. But we are one title away. Oelze: The thing I’ll say in favor of Boston in this dynasty argument is that they’ve been at the very tip top of the quidditch world since MLQ last summer. Even during its run of titles, Texas had moments where they looked so “bad” that I actually tweeted out that I was crossing them off my list of teams with a chance to win World Cup after they were drubbed by Baylor at regionals. Boston has been a legitimate contender on their entire fifteen month run. Now if you’ll excuse me, I’m going to go delete that tweet so it doesn’t get thrown in my face. Sturm: Kevin, you mentioned Texas’ bad moments compared to Boston’s consistency, and Hoops, you mentioned that the tapes been out on Boston for a year now and no one has answered the call. But is Boston potentially just the beneficiary of having the strongest snitch on pitch game in an era where one strategy has gotten omnipresent? The US Quidditch Cup 9 semifinals and finals, World Cup gold medal game, and MLQ finals series have all played out the same way: full of patient, long possessions where you reset ad infinitum until you get bludger control, and then aggressive use of that bludger control to allow for simple scoring opportunities on offense. With both teams on both sides of all six of those games playing like that, of course we got six snitch range games. Is that strategy problematic from a gameplay perspective? Is it problematic from an entertainment perspective? And if yes, will it be solved by strategy innovation or by a rule change? Dan Hanson: I think the prevalence of that gameplay style only makes it harder to win consistently. That one loss was to the Lost Boys was a game that QCB was dominating, and shows how sometimes luck can go against a team with an insanely skilled snitch grab. Boston’s run has not even involved a controversial snitch grab by an opponent where you can point to a game that they could’ve lost and were inches away from getting knocked out. Let’s compare SWIM records for the two dynasties. Can somebody get us that information? Devin Sandon: Are we looking at full season, or just national tournaments for the overall records? Back to Ethan’s point, I think it’s going to have to be fixed by a rule change. I’ve been arguing this for a while now, but at present the onus is far more on the defense to force the offense to risk their possession than it is on the offense to try to score. As we’ve seen, the result of this is that the offense can move the ball around the half court endlessly, probing for weaknesses, while giving their beaters an opportunity to regain control and then make an aggressive play. The fact that possessions can be maintained in this manner also eliminates the larger risks of using bludgers aggressively, as you can largely assume that the other team will simply take back control on the following possession anyways. Having bludger control on defense would be useful if you could apply a meaningful press, but no one seems to have found a way to do it with any real success. More often than not, the presses just leave the defense overly spread out and exposed for the offense to score off a long pass, with the offense often reclaiming bludger control from the overextended pressing beaters. Oelze: I agree that it probably would need to be addressed by a rule change, if we want to change it. In practice, though, isn’t the strategy very similar to soccer? Possession and pace control is very important in both. I’m not actually convinced this is something that needs to be fixed. Austin Pitts: While similar to soccer, soccer doesn’t have beaters and the knockout effect. That makes pace control inherently easier in quidditch by reducing the ease of settling into a full-field press. Sean Pagoada: As long as the snitch is a part of the game, teams need to address snitch on pitch throughout their season. Boston adjusted their strategy before snitch on pitch when facing the powerhouse quaffle lineups that Lone Star and the Outlaws have dished out. Now these teams that are losing huge leads during snitch on pitch (Guardians, Gambits), or flat out losing these important games in range (Outlaws, Lone Star) have to work on their snitch on pitch strategy as much as they do other facets of the game–at least until there is a rule change. Sturm: Since Sean just brought it up, let’s talk a little about game one of League City vs. Los Angeles. The Guardians became the second Los Angeles team to blow an 80+ point quaffle lead with snitch on pitch in a little over a year. How do you let that happen again? Nelson: The problem in those situations is they forget the quaffle game. Those teams have very capable seekers, and they choose to try and give their seekers all the free time to catch the snitch. Their chasers, on the other hand, have not been able to match up to the physicality of their opponents. The investment in the snitch game can pay off, but it fails when you run up against a great snitch who is able to hold out through handicaps. If teams rely on their ability to get a quick catch on snitches throughout a season, that is a chink in their armor they may not even know exists. Oelze: League City had superior chaser physicality. When the Guardians were up enough, they shifted to trying to have their beaters help out in the seeking game. 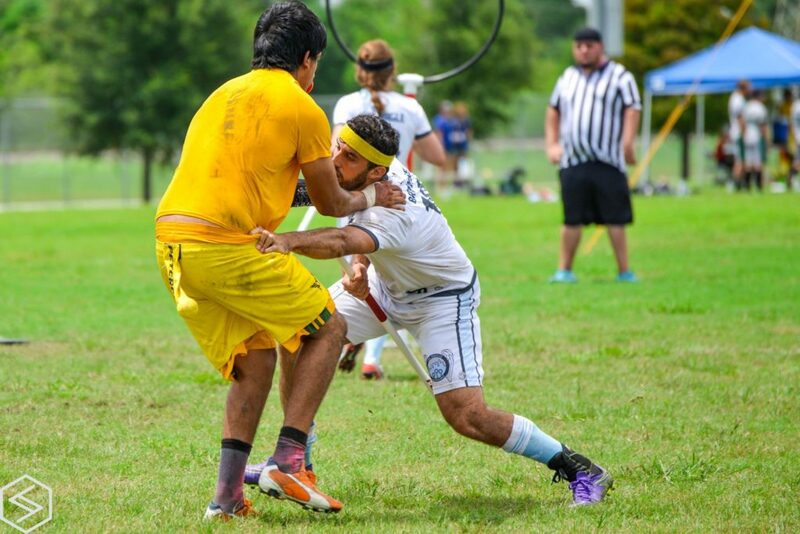 When Gabe Garcez was a strong enough snitch to still hold out, this gave time for League City to get the score closer into range, and all League City had to do was actually get into range to force Los Angeles to put their beaters back on the snitch. Any other snitch, and Los Angeles wins this game. It’s kind of crazy how much who the snitch is can change a game. Sandon: At least in the case of the first League City game, it feels to me like a result of a lack of respect for their opposition on the Guardians’ end. With an 80 point lead, you can pivot your beaters to snitch fairly safely and play pace control to make sure that your seeker has opportunities and the opponent can’t get back into the game. However, the Guardians didn’t really play to control the pace. Instead, they kept playing their game but without beater support, and they didn’t pivot their beaters back to the quaffle game when the game got closer, which allowed League City to become relevant again. Oelze: I would argue that it was less disrespecting the opposition and more that it’s difficult to pivot your strategy mid-game in quidditch without any sort of stoppage. That means the pre-game preparation needs to be immense if you want your team to be ready to deal with any changing game conditions, and teams just don’t put in that kind of work, because they don’t expect to need to. I can see what the Guardians were doing. They were going on offense in no bludger situations with some of the best drivers in the game. They just needed to realize it wasn’t working and have a way to either stop it entirely — and put beaters back on the quaffle game fully — or they needed to switch into a complete pace control offense. A lot of teams don’t have easy ways to change their macro strategy of the game, particularly if the change is nuanced in a way that’s more than “put two beaters on the seeker” or “ignore the snitch game”. Walters: I think with the increase in parity, we’re seeing games where “X team lost to Y team because X team had a great game and Y team played awful” are finally a real thing. It used to be even on a bad day, teams like Texas could still beat almost anybody, because the difference in skill was so large. Now with teams like the Guardians who are still better than teams like the Legends, you see mentality play a bigger roll. League City is a team that relies heavily on “the hype,” which is not only something that gives teams near superpowers on the pitch, but can also drastically affect the mentality of the other team. As soon as the hype started for the Legends, the Guardians fell apart. It also helped that the Legends were probably the most physical team at the MLQ Championship. Sandon: I also think it’s somewhat interesting looking at the two LA cases, because for Rochester, losing a game to Michigan two years ago when we had a 70-point lead was something of a formative experience. After that loss, we became completely fixated on the quaffle game to the point that analysts looking at Whiteout basically said we would win out of range or lose in range, because we put such a high priority on getting out of range and staying out of range with snitch on pitch, even in games that started marginally in range. That translated into Rochester United more or less continuing to pummel teams and score with no beater support on the snitch until our opponents gave up and suicided, because we didn’t want to risk allowing a team to come back into the game. We had an extreme response, but LA doesn’t seem to have had a similar learning experience. We Breathe Quidditch: I wouldn’t say it was arrogant or disrespecting the opposition at all. The Guardians didn’t play a high tempo game where they were rushing the offenses on every possession during snitch on pitch. They almost always waited until there was one out of position bludger or no bludgers at all before driving. Snitch on pitch with both beaters on snitch inevitably ends with a ton of zero bludger drives. Now, the Guardians could have done what the Outlaws did and slow-balled anyway, even when facing a zero bludger drive–to prevent tiring themselves out and to maximize snitch catching ability — but the Guardians didn’t do that. You can call that a strategic folly, but to be fair, it was standard all through World Cup VIII for a team out of snitch range to play up tempo and wear out the defense. But in the end, the Guardians overextended themselves trying to score on no bludger situations, tired themselves out, didn’t communicate with their beaters, and thus were beat. I find it interesting what Devin said about teams who are out of snitch range trying to pummel the losing team harder until they lost, because that is what got the Guardians upset by League City. Austin’s slowballing was precisely to stay out of range and not allow a League City comeback. I know if there was ever a point in the Boston game in which Outlaws were up 40, they would have never given up possession of the quaffle until the snitch was caught. Oelze: I think both strategies are valid and have their places. If I’m playing a team that is clearly outmatched, if I’m up 70 or more, I’ll usually want to try to push the pace and try to drive up the score so they want to end the game. If it’s at 40 points, I’ll try really hard to at least get one more goal to give my team some wiggle room, but pace control becomes my premium goal. I’ll only want the team to push forward if we’re in the high 90’s percent chance of scoring. Pagoada: The Los Angeles teams in particular need to up their physicality. During the MLQ season, most of their takeaways were due to their great beating, with minimal tackling. If their quaffle players (more than just the elite ones) can emphasize tackling in the offseason, they will be better prepared once the snitch is on the field. Once this is done, there should also be improvements in their driving and finishing at the hoops. It’s no coincidence that both times an LA team gave up big leads, their opponents came from Texas — known for their tremendous physicality. Pitts: Physicality definitely plays a huge role. 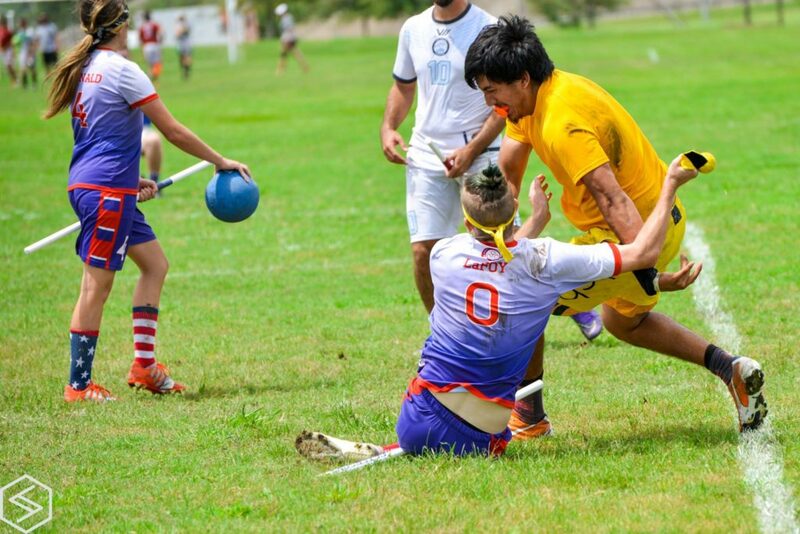 League City made multiple no bludger stops and was able to power through in no bludger situations, which is exactly what happened at World Cup VIII. What I don’t get is why LA just neglected to use their bench. With two elite keepers in Alex Browne and Tony Rodriquez, they should have had a phenomenal ball handler on every line and just rotated in fresh bodies to throw at League City’s chasers. Everyone has already mentioned physicality, and for good reason. The two-time champs may not be the most physical roster, but they have the ability to make stops during snitch on pitch. Having chasers who can make those stops is a requirement at the top level of the game. Sturm: So Kevin already tried to pivot the conversation naturally, so let’s let him have that. Gabe Garcez returned to snitching this weekend, and the effect of his return was palpable. He was the snitch as Los Angeles blew a lead to League City, forced Austin into a 70+ minute semifinal, and held off Harry Greenhouse with no beater support in game 2 of the finals for quite some time — something you don’t see very often. How different is this tournament if Garcez doesn’t return, and how problematic is it that we need to have a conversation of how a tournament’s outcome would be vastly different with a different neutral body on hand? Oelze: If game 2 of the finals has a bad snitch, Austin wins early in the game when they controlled the beater game around snitch on pitch. If the snitch is mediocre, the snitch gets caught during the sequence where Greenhouse has several minutes against the snitch by himself. The only way this game plays out the way it did is with Garcez. It’s insane that how the neutral party you get can influence the game and the strategy you play with so much. It’s a somehow more preposterous version of “this umpire has a different strike zone”, which most progressive baseball minds think is absurd. How are we okay with this? Sandon: I would argue that different officials always have pretty large impacts on games. You are holding up baseball as an ideal, but that really only works because the game is very uninteractive and easy to track. The differing strike zones can be viewed by seeing how umpires are calling hundreds and thousands of pitches over time, and seeing minor variations in what a given umpire views as a strike versus a ball. Quidditch just isn’t comparable given how many more interactions and variance in interactions that officials have to adjudicate. I’ve had games where my team fundamentally altered our defensive system because of knowledge of who the head referee was and knowing what calls they are liable to make, particularly with regards to players moving out of the soft boundary while not under pressure. Variance in snitches is definitely problematic to some degree, both in the difficulty of catching snitches and the fact that snitches with different styles can be more or less easily caught by seekers, depending on their style. Like most things, you need to adjust to the officiating crew, which includes the snitch. If one seeker has trouble with broader snitches, you throw in someone else. How many teams rely solely on a single seeker at this point in the game? Conversely, if you know that a snitch is higher quality, you put more focus on the quaffle game and put slightly more trust in the snitch to be able to hold up in a 1-on-1. It’s all a probabilistic assessment. None of this makes it ideal, of course, but we deal with the world as it is, not as we want it to be. We’ll never have referees who see everything and call everything in precisely the same way, and we’ll never have snitches who have the exact same skill and styles. And that’s okay. Taken to an extreme, you can even consider it a good thing. If all snitches were identical it would flatten the meta for seekers. We Breath Quidditch: Better snitches, in my opinion, lead to more focus on snitch on pitch beating, whereas poorer snitches place a bigger emphasis on pure seeking. I think Boston wins this weekend no matter what snitch was used, but if any other snitch was in the Guardians vs. Legends game, the Guardians would have won. Put it this way: If Mario Nasta had not played this weekend, Austin would have won. Hands down, no doubt in my mind. If Garcez was snitching game 1 instead of Mason Kuzmich, Austin would have won game 1. Editor’s Note: Garcez requested not to snitch game 1 of the finals series. If any other snitch played the finals, even if Max Havlin started throwing up and Nasta got injured, Boston still wins. Sturm: We already touched on Los Angeles’ disappointing weekend, but that was only a piece of a underwhelming weekend across the board for the West Division. Salt Lake City, off an impressive 7-2 regular season, lost its cool against a chippy Washington team and then bowed out in two games, and San Francisco, while logging two surprising wins over Kansas City, looked absolutely lifeless in two losses to the admittedly heavily favored Boston team. 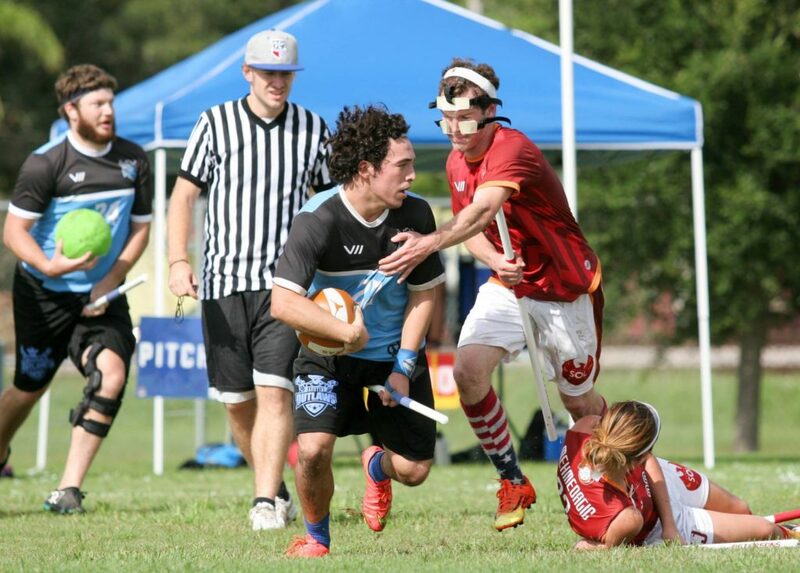 A month before the 2015 MLQ season began, the Lost Boys had made a semifinal run at World Cup VIII, beat AZQC in the quarters, and the Gambits faced the toughest road imaginable and still had Lone Star on the verge of tournament elimination, and beat Baylor — and the gap between the West and the Southwest at the top of American quidditch seemed to have all but disappeared. Now here we are 15 months later, and it’s the Southwest and the Northeast that have distanced themselves, and the West that has seemed to fallen back into the pack. What’s gone wrong? Oelze: It’s a good thing nobody in this group said San Francisco will go 0-2, that Los Angeles was a dark horse to win the entire thing, that every one-seed will win their pool besides maybe Indianapolis and that Salt Lake is a long-shot dark horse. Is it too late to delete my Twitter account? Hoops: Admittedly, you were close with the Indianapolis call. They were never leading in quaffle points at the time of catching the snitch. Oelze: But in all seriousness, I think I can at least explain the West…kind of. Nobody expected Phoenix to win a game. They had too few players and too many issues. They played hard but were clearly outmatched. They at least met those expectations. San Francisco had a rather tumultuous season, with enough issues that could really just be split into their own article. They were down their best physical presence at chaser this weekend, with Nate Stender not making the trip. Expecting them to do anything to stay competitive with Boston other than extreme slowballing seems unrealistic to me. By all accounts, just by beating a Kansas City team that took a series from League City, this team exceeded expectations that weekend. As for Los Angeles, we’ve covered that a bit. Realistically, this team should have won their pod. They would have won their pod if they hadn’t blown the first game. They should have had seeking superiority, but they were tripped up from recovering from that mistake by highly unfortunate snitch play in the third game. They’re certainly to blame for being in range of a team twice — and much of a third game — that they should have beat out ofrange, but League City was easily the nastiest third seed to draw. There’s a lot of things here that had to go wrong for Los Angeles to lose their pod. As for Salt Lake: this is a team that tries to match up, play defensively, and win in the seeker game. Teams like that tend to be prone to upsets, and their beating game was underwhelming compared to what was expected. From what I saw, their passing game never really came together all season. When you’re playing against MLQ-level teams, those weaknesses should cost you the game, and it requires several things to go your way for those weaknesses to not cost you the game. Hive’s record looked good at 7-2, but they really should have lost the San Francisco series that they swept, and arguably could have been swept if the Argonauts had played to win in the third game rather than playing their depth. This team certainly underperformed, but they are also a team that’s going to play at the level of their opponent. This makes them a team that’s capable of pulling big upsets, like beating Los Angeles in the first game of their series, but it also makes them very capable of performances like this. Pagoada: To add onto Kevin’s point, the Lost Boys finished in the Top 8 this past nationals, falling with some untimely calls, and the Los Angeles Gambits were ousted by one of the finalists in the Elite Eight, with a battered Rodriguez. While the West might have fallen right behind the Southwest and Northeast, those two programs will continue to lead that region into more success. If they can learn from this summer’s mistakes and retain their top talent, they will come back into contention this USQ season. Physicality should be on all their lists of things to work on in order for them to get back with the other two regions. Sturm: The unsung story of this weekend was Indianapolis quietly playing Boston to back-to-back snitch range games in the semis, just the third and fourth time Boston had ever been held in range in MLQ. This after the Ball State core made a run to the US Quidditch Cup 9 Final Four. Yet, outside of Tyler Walker and Blake Fitzgerald, no one gets much credit on this team–and even Fitzgerald’s name recognition is flimsy. Is this a case of the whole being greater than the sum of its parts, or are we ignoring some very impressive contributors in this team? Pagoada: The team has done a wonderful job this past USQ and MLQ season. While they have impressed, their goal is to get that ultimate championship. The team will need to continue developing if they’re to stop being the Cinderella and become the top dog. Nelson: While I was very impressed with their female beaters, is there much more to say beyond that and those top players already mentioned? It wasn’t just their games against Boston in the semis that were in snitch range–it was also their games against Washington and New Orleans. Against both of those teams, Indianapolis was behind when they caught. Teams that play to the level of their opponents can impress or disappoint very easily. Villanova used to be the same way rarely blowing anyone out. Hoops: Erin Moreno has quietly been one of the best female beaters in the Great Lakes for the better part of two years now. Nathan Digmann and Cammy Lang from Marquette have been great additions to a mainly Ball State-centric Intensity squad. Matt Brown is one of the most consistent contributors on offense for Ball State and was a lot better than I expected him to be while beating this summer for Intensity. That being said, Ball State and to a smaller extent Intensity are teams that don’t make mistakes, have shored up their one-on-one tackling, spread the ball around on offense, and happen to have both of this year’s Team USA seekers. That’s a recipe for maximizing potential, made all easier by the one-man wrecking crew of Tyler Walker. Sturm: Let’s give League City the same treatment we gave Indianapolis: Who were some of their standout players for you this weekend, and what really worked for them as a team? Walters: League City’s roster is a well put together team. But if I had to choose stars, it’d be the Peavlers at beater, Kevin Tran at keeper, Jaycob Freeman at chaser and Adam Wolf at chaser. Nik Jablonski: TJ Goaley was an excellent seeker for them this weekend as well. Pitts: I feel like their other female beater really stepped up and even outplayed Beth for a majority of the tourney. Erin McDonald for SHSU was great. Stephen Vigil and Zack New were physical off the bench. That was their biggest strength all weekend, as they were the most physical team top to bottom. We Breath Quidditch: Props to their chasers and especially Kevin Tran at keeper for showing remarkable poise and pace control. But TJ Goaley’s defensive seeking and the incredible success of their snitch on pitch beating deserves credit. All their second string beaters, including Zack Pickett and Hannah Cervenka, played just as solidly as the Peavlers, and this depth is what allowed that insane performance by League City. If I had to choose a player of the tournament for League City though, it would have to be Goaley. He defensive sought for so long both against Austin and the Gambits. Sturm: Alright, MVP of the weekend? Oelze: Mario Nasta balled out like a boss. Tad Walters: Nasta for sure. We Breath Quidditch: Mario Nasta for sure. Duquette and the rest of the Outlaws’ beaters were scratching their heads on how to beat him. Havlin was unimpressive in the finals in comparison. Without Havlin, Boston still might have won in the finals. Without Nasta, Boston loses. Period. Sturm: Alright, so to finish up, we’re on the doorstep of the new USQ season. Last year, MLQ season ended up being pretty prescient for USQ, with the cores of the Night Riders, Intensity, Whiteout and Riff all making deep bracket runs. What do you think may be a major takeaway from the MLQ season for the season to come? Walters: I think we’ll see an added benefit for some of the new eight MLQ teams and their cities. It’s hard to argue that Gulf Coast Gumbeaux won’t be better because of Curse, the Los Angeles Gambits because of the Guardians, Sam Houston State University and Texas Tech University because of the Legends and Crimson Elite because of Hive. So I expect way more parity this upcoming US Quidditch Cup. Like, I expect every Sweet 16 game onward will be snitch range. We Breath Quidditch: What about Austin? Walters: It was hard to assign a team because I know many players were debating quitting, especially because they didn’t win this weekend. Cavalry will definitely be improved, but I think Lone Star peaked, and, if they’re still around, they won’t be nearly as good this year. Sturm: Final comments before we call it a wrap? 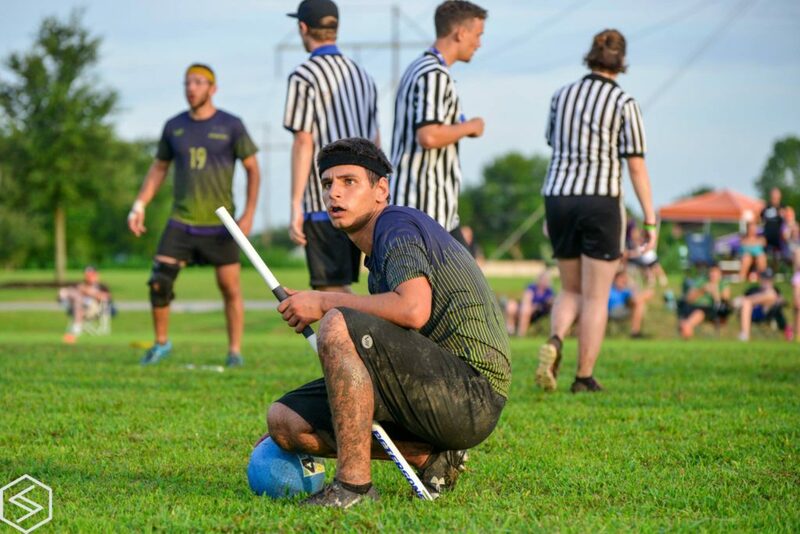 We Breath Quidditch: I walked into the tournament a little confused and annoyed at the complicated bracket system, and the fact that second-tier teams would have to play three games with the top-tier teams in their pod to advance. But after being at the tournament, I am 100 percent glad that it was designed that way. In essence, it was another “series” of three games before the semifinals, and the games that this weekend produced were anything but boring. I was on the edge of my seat for most games. Sturm: You’re just feeding my format ego, you know? Oelze: My only real gripe is that there are teams that left the tournament literally having played one team twice. We Breath Quidditch: Also, as an aside, Boston never seemed frustrated or angry or losing their cool when facing the Outlaws. In comparison, Boston frequently made mistakes, lost their cool, got angry and started yelling at each other when playing Indianapolis. Sandon: Probably because of differences in expectation? They didn’t expect Indianapolis to be able to run with them, whereas they expected a dog fight from Austin. We Breath Quidditch: Or worry: they knew they could handle Austin’s seekers, because so as long as they would stay in range, they had no reason to get flustered. Whereas they knew that Indianapolis’ seeker game could beat them and win an in range game–so when they failed to pull out of range against Indianapolis, they started to get worried. Nelson: As much as I enjoy the competitive nature, for a major event I would like some sort of spectacle around it as well. While I’m not advocating Harry and the Potters or a fire twirler. I do think something interactive for non-playing attendees would be good for the growth of the fan base. If we want to continue to grow and have this outlast us, we need get children to have fun when they come–something like the football or soccer set ups where you throw/kick the ball through targets would be a simple example.